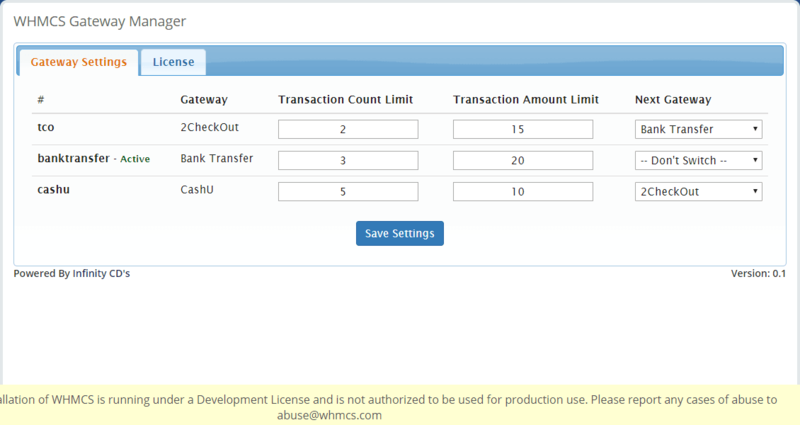 With WHMCS Gateway Manager you can set limits for gateways, Which means that when a gateway has processed X amount of transactions or more than an X amount of money your WHMCS will automatically enforce the next gateway to be used. Will this work with any module? Yes it works with any module, Since it controls the gateway from WHMCS side. What about invoices set to use another gateway before the swap? The module will handle that for you aswell, No invoice will be able to be paid from anywhere except the active gateway.